It goes without saying that mobile is an essential player for every enterprise; however, simply having an application is no longer enough to succeed. 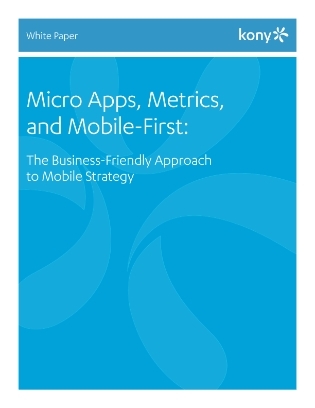 The app landscape is expanding with better, faster ways to create business value: micro apps. Micro apps enable simple, yet powerful business processes that when connected to line of business systems, can empower customers and employees to collaborate and solve problems. This complex ecosystem is not without challenges – and can create bottlenecks to staying ahead of your competition.